How can you reflect the triangle over the line WITHOUT USING the reflection tool or coordinates. What other tools and methods can you use to reflect that triangle over the line? How did you reflect the triangle? Explain. 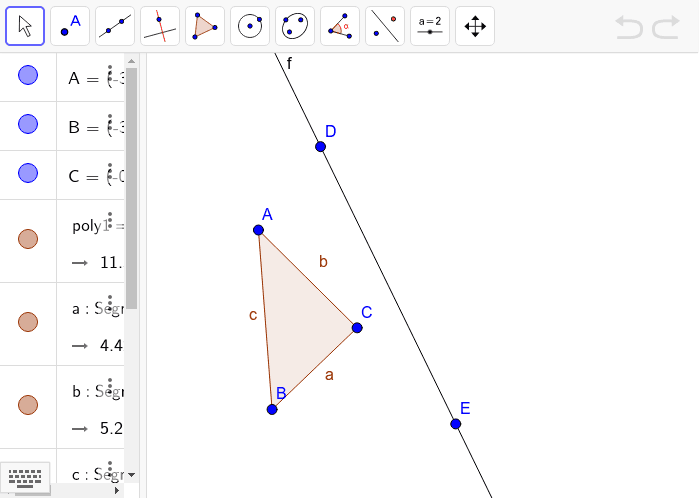 How can you translate the triangle the direction and magnitude of the vector WITHOUT using the translation tool or coordinates? 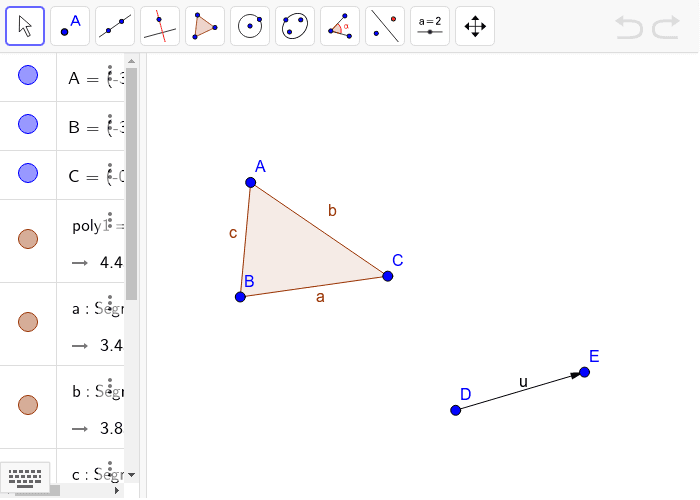 What other tools and methods can you use to slide the triangle? How did you translate the triangle? Explain.